And that’s a wrap. 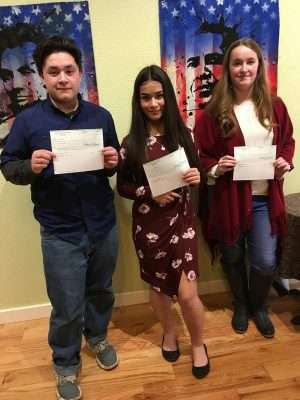 After three months of English teachers countywide encouraging their students to participate, on Jan. 27, Plumas Arts held the third annual countywide Poetry Out Loud competition for high school students in Plumas County. Indian Valley Academy junior Diego Garcia-Couoh earned the first-place spot with his recitation of the poem “The Film” by Kate Northrop. Garcia-Couoh chose the poem because as a budding film director and film enthusiast, the poem “spoke” to him. 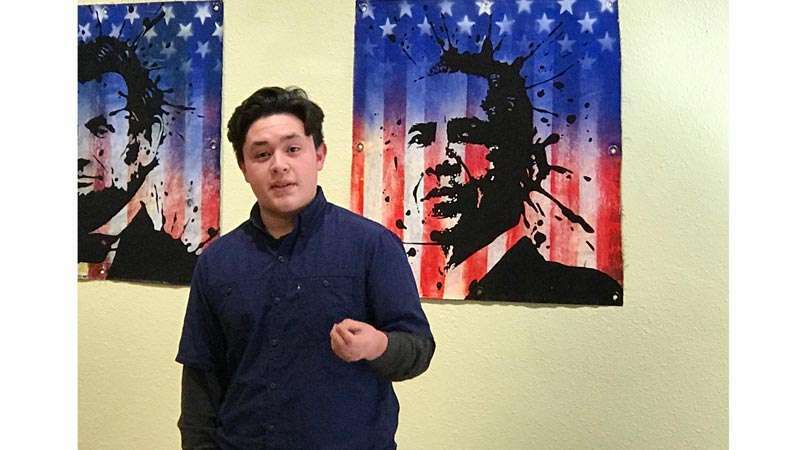 Garcia-Couoh will go on to represent Plumas County in the annual statewide competition, which takes place March 10 and 11 in Sacramento. He will compete with winners from 53 California counties. At the state level, students must memorize and recite three poems — one of which must have been written before 1900. This year students were offered cash prizes. Garcia-Couoh took home the grand prize of $500 — which he plans to use on film equipment for the short film he’s currently making for IVA’s annual showcase in April. Indian Valley Academy English teacher and director Ryan Schramel attended the event with Garcia-Couoh and indicated that he’d like to see the program grow and engage even more students. Plumas Charter School sophomore Jacey Taylor took second place in the competition for her recitation of Naomi Shibab Nye’s poem “300 Goats.” The poem struck a chord with her and she wanted to explore it further through her recitation. Taylor was awarded a $300 cash prize. Quincy High School freshman Paloma Couoh earned the third place position with her rendition of Lorna Dee Cervantes’ poem “Love of My Flesh, Living Death” — an homage to Federico Garcia Lorca. The poem, which includes reference to the dove of peace, struck Couoh as her first name, Paloma, means “dove” in Spanish. She was awarded a $200 cash prize. Judges Jennifer Ready, Will Farris and Roxanne Valladao felt the scores to be close — within a point of each other, in the case of first and second place, but ultimately chose Garcia-Couoh for his performance, eye contact and projection. Ready gave a talk to the high school students afterwards encouraging them to enter the contest again next year and to remember to use the whole body in performance — and to project. The Sunday competition was held at the Plumas Arts Gallery with a new art installation by Rafael Blanco serving as the background for the performances. The California Arts Council provides funding to every county in the state to host competitions. Plumas Arts contracted with poet Margaret Elysia Garcia to travel to each school willing to have a class presentation on poetry and the contest. Garcia offered coaching and tips on memorization, presentation and projection. Indian Valley Academy, Plumas Charter Schools in Quincy and Chester, Quincy High School, Greenville High School and Chester High School invited the program into its schools. Participants in the final competition Sunday Jan. 27, came from Indian Valley Academy, Plumas Charter School Quincy, and Quincy High School. After the state finals in March, each state will then send a representative to the national competition in Washington D.C. during national poetry month in April. Cash awards were provided by Plumas Arts.